Welcome to the ninth special bonus episode of - The Stephen King Podcast - Constant and New Listeners! In this installment, Speculative Fiction Author, Craig DiLouie drops in for a chat. 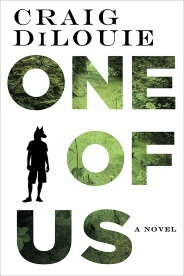 We talk about Craig's latest book - One of Us. "When a disease produces a generation of monsters, these children must somehow fit in–or fight for what’s theirs." His works have been nominated for major literary awards such as the Bram Stoker Award and Audie Award, translated into multiple languages, and optioned for film. Find out more about Craig and his other books at his website.